Register for the 2019 Quarry Springs Paddle Skedaddle Duathalon today! Additional race information can be found at https://www.quarryspringspark.com/2018-paddle. Join the movement that's taken over the racing world! A 2 mile kayak course + 3.5 mile trail run in central Iowa's newest park located just off I-80, just 20 minutes east of Des Moines near Colfax, IA. You can do both sports or focus on one and get a partner to do the other! We can help you find a partner as well. 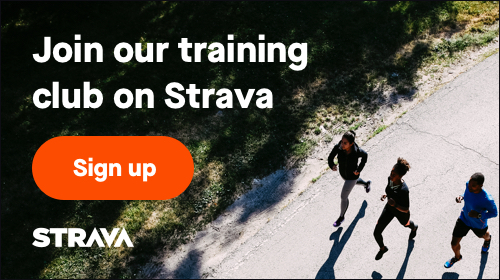 Sign up now to get motivated for training, get excited for race day, and celebrate with us all the way to the finish line. We're with you through the season! Please fill out a registration for each participant if you are doing a relay. Race Bib & Medal - all finishers will get a custom medal to commemorate their achievement. Hang it on your wall! Breakfast & After Race Snacks - Pre-race bottled water, bananas, and granola bars, and more! Free Photos - We'll have a photographer onsite and allow you to download all photos for free after the race. You will need to supply your own kayak and life jackets are a must. Quarry Springs Outfitters will have a limited number available to rent. Packet pickup will be 6/21 (location/time TBD/TBA) and the morning of 6/22 @ 6:30 AM at the park office. You must wear a visible bib during the race. Racer meeting will be at 8 AM. Race to start @ 8:15 AM. Water will be available on the running course. Finishers should be able to to finish in 2 hours, 15 minutes by 10:15 AM, which will be an easy paddle & easy walk pace. Awards will start at 10:15 AM. Special medals will be given to the top male/female in the following categories: 12-18 yr, 19-29, 30-39, 40-49, 50+. Relay awards will also be given depending on number of teams. Waiver must be approved/signed by a parent for children aged 12-17. Please visit our website at Quarry Springs Park for more race information!